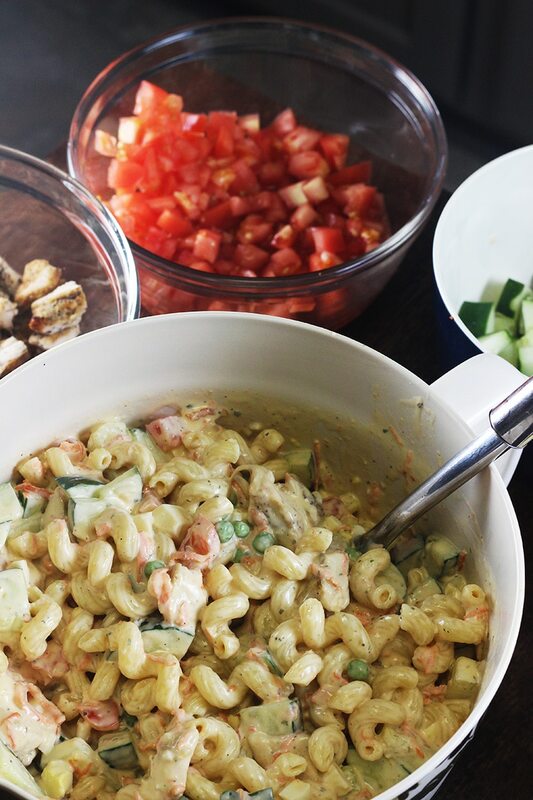 A creamy tangy blend of veggies and chicken with firm pasta and every bit of salad goodness without lettuce in this Chicken Cobb Pasta Salad recipe. I was never a big lover of pasta salad. Every time I would have some I honestly would feel underwhelmed. I prefer my noodles drenched in, and covered with some cheese personally. And when I tell you it was a match made in heaven that ends in marriage. It is just that! A marriage between salad vegetables, seasoned juicy chicken, and nice firm pasta covered in two of your favorite dressings. Ranch and Italian. 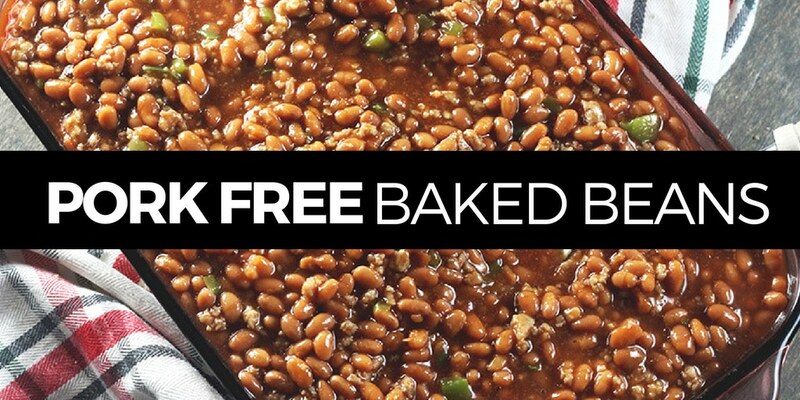 This recipe falls right in line with summer BBQ sides. And it could even be a meal all by itself! I really don’t want you to take my word for it. So I’m just gonna give you the recipe and let you make it for yourself so you can see. 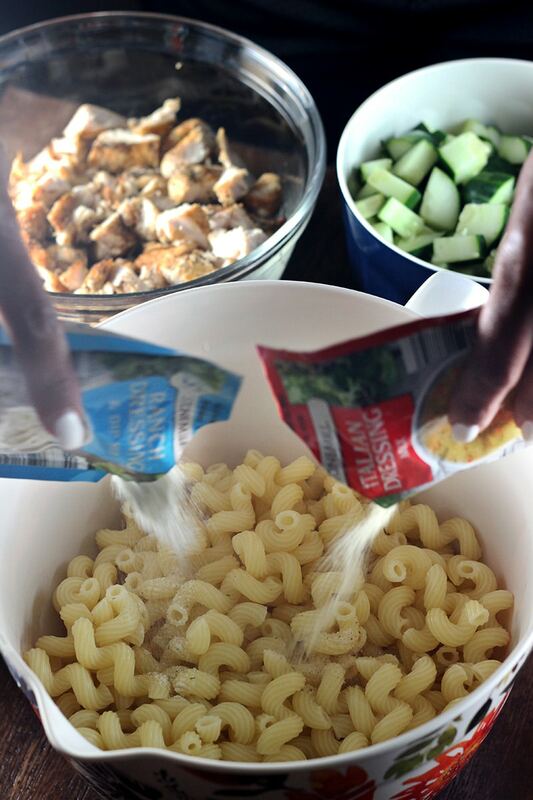 Here’s the recipe for Chicken Cobb Pasta Salad. 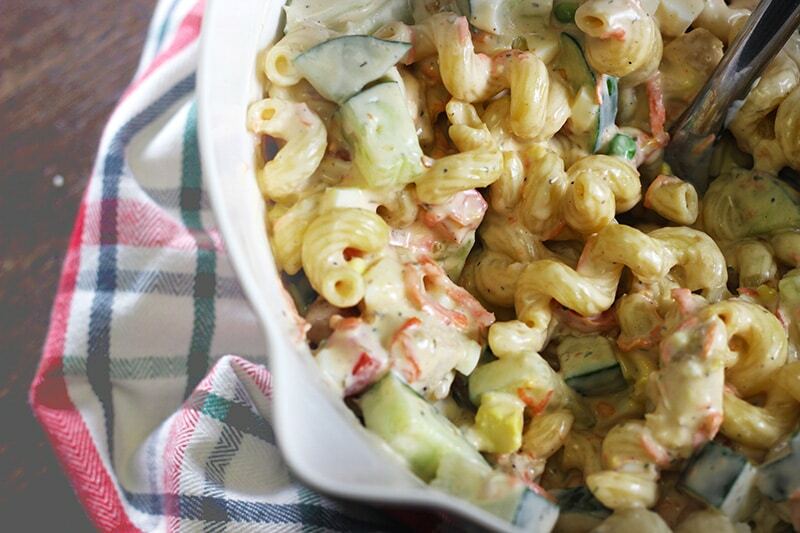 A creamy tangy blend of veggies and chicken with firm pasta and every bit of salad goodness without lettuce. Heat skillet on stove to medium heat and coat with olive oil. Add in chicken and season to taste. I use seasoning salt, garlic powder, and black pepper. In a large bowl, combine, cooked pasta, chicken, dressing and dressing packets, veggies, and eggs. Fourth of July is right around the corner and this salad is one of the things I get requests for the family cookout. 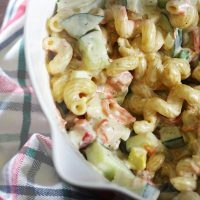 Whether you are hosting or taking a side, this Chicken Cobb Pasta Salad is one of the things you want on your holiday picnic table. 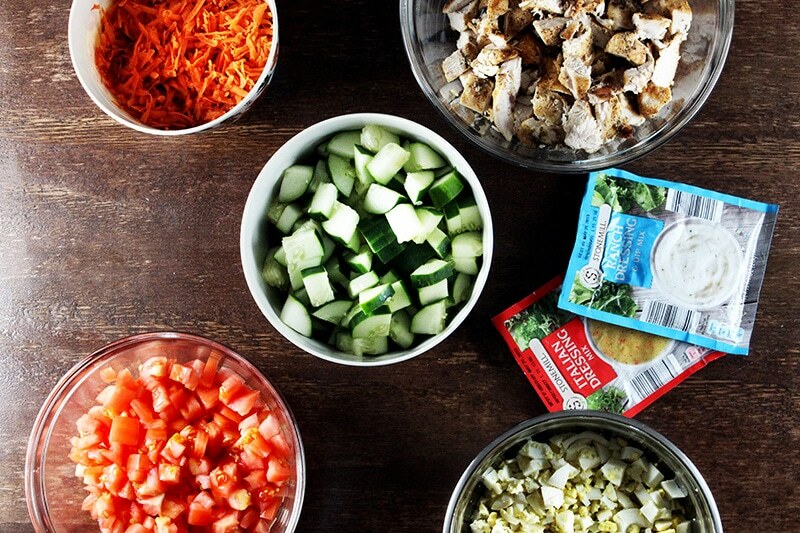 Interested in making Chicken Cobb Pasta Salad? Use the Pin button below and save for later. What are some of your favorite summer holiday BBQ recipes?